My passion for running has taken a fun new twist- destination races! Last October, I ran the Wineglass Half Marathon in Corning, NY for two reasons- 1. To visit the NY Finger Lakes and 2. To see the beautiful upstate countryside in the fall. I'll be running that race again this October and will be sure to share my favorite wineries and breweries! I will also be running Rock 'n' Roll Philadelphia in September. My first Rock 'n' Roll race was Nashville last month. 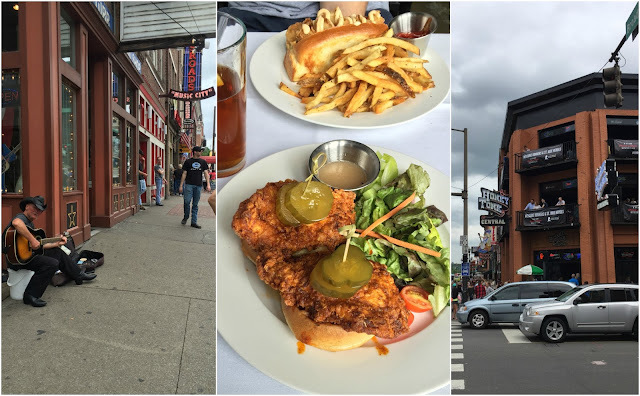 As a lover of country music and southern fare, Nashville has been on my travel wish list for quite some time. I signed up for the 2016 race right after the 2015 race took place. I was determined to visit and a race was the perfect excuse opportunity! Buckle up as I take you on our 48 hour Nashville trip! 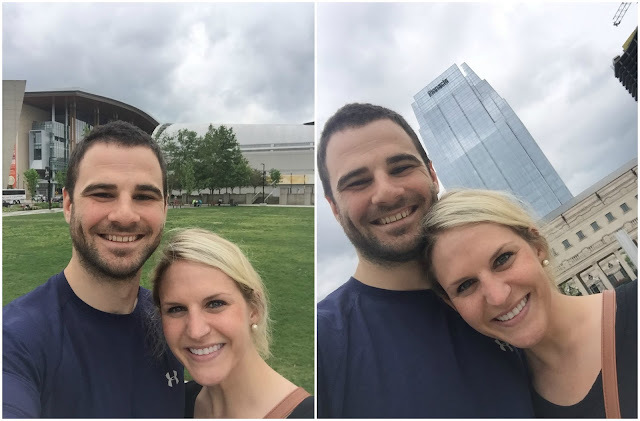 On Friday, we flew out at 5:00 AM and landed in Nashville with a full day to explore! We walked up Broadway and made our way to packet pickup to get my race bib and swag. Afterwards, we headed to lunch at M Restaurant and Bar. I had made reservations 6 weeks prior, as I was unsure how crowded it would be with 30,000 additional people in town for the race, but it turned out we were the only ones there at that time! I loved the décor and ambiance of the restaurant. Wilson was our phenomenal server! He was very personable and had the best recommendations for us. We continued exploring the city, hoping the rain would hold off. 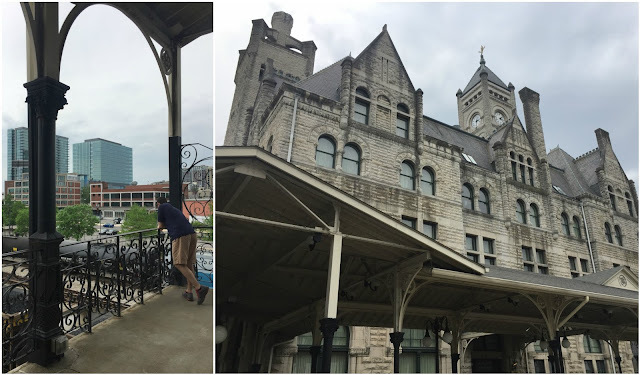 We watched some trains and visited the outside of the (former) train station. 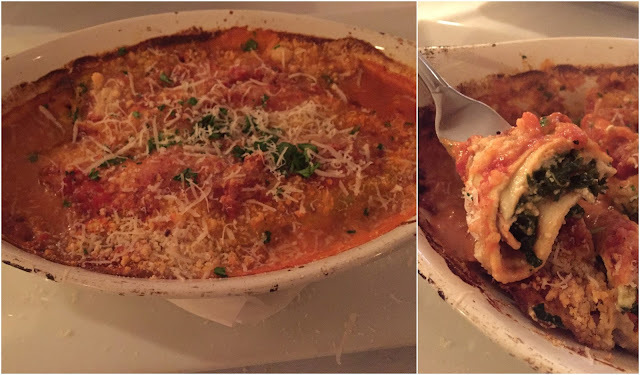 At 7:45, we arrived at Sole Mio for dinner, which was conveniently right next to our hotel. To be quite honest, this was our only disappointment of the trip. Both being Italian food lovers, we weren't fans of the sauce, which seemed too acidic and more orange in color. We also agreed they were over priced for the portions. 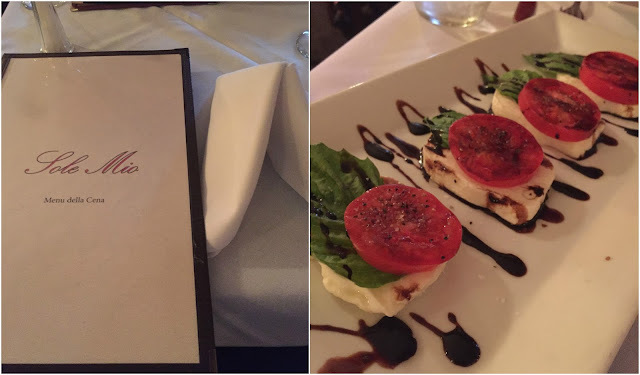 However, the Caprese Salad we shared as our appetizer didn't let us down. After dinner, it was lights out after having walked 5 miles around the city, an early start to the day, and an early Saturday wake up call for the race. 5:30 AM came nice and early, along with thunder and rain (a first on race day for me!) Having anticipated the rain, I was sure to bring a hat and a trash bag to stay dry until the start gun. I time my oatmeal and banana (pre-race ritual) exactly 90 minutes before I run, so my body has time to begin digesting it. After walking to the start line from the hotel, they announced a 30 minute rain delay, which threw my body's energy levels off (you runners know what I'm talking about!) Thankfully though after the race started, the rain stopped. Waiting at the starting line during the delay. Walking back to the hotel from the finishers area at Nissan Stadium provided for a neat perspective of the city. 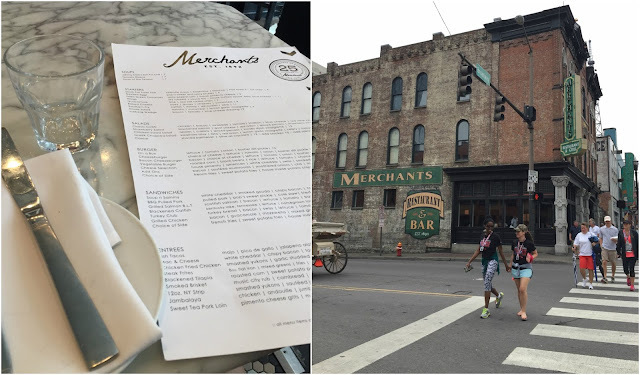 This post-race lunch at Merchant's was the one meal I had been looking forward to the entire trip! I tried to make dinner reservations for Friday or Saturday night (6 weeks prior keep in mind), but they were booked out for the next month! Lunch on Saturday was take it or leave it, and you better believe I took it! 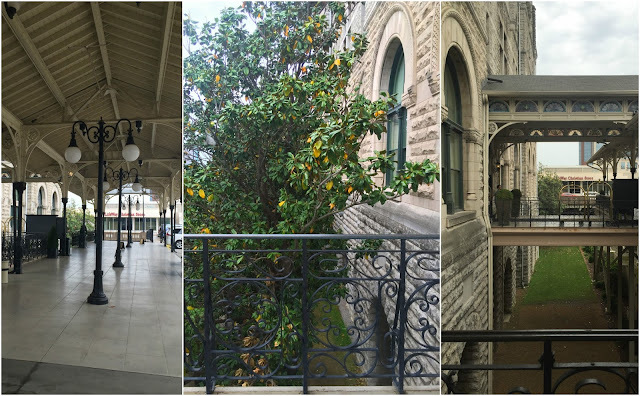 In the 1870's, Merchant's was an old pharmacy on the first floor, hardware store on the second floor, and wholesale drug company on the third floor. In 1892, it became Merchant's Hotel before becoming what it is today, Merchant's Restaurant (in 1988). After an amazing lunch (highly recommend!) 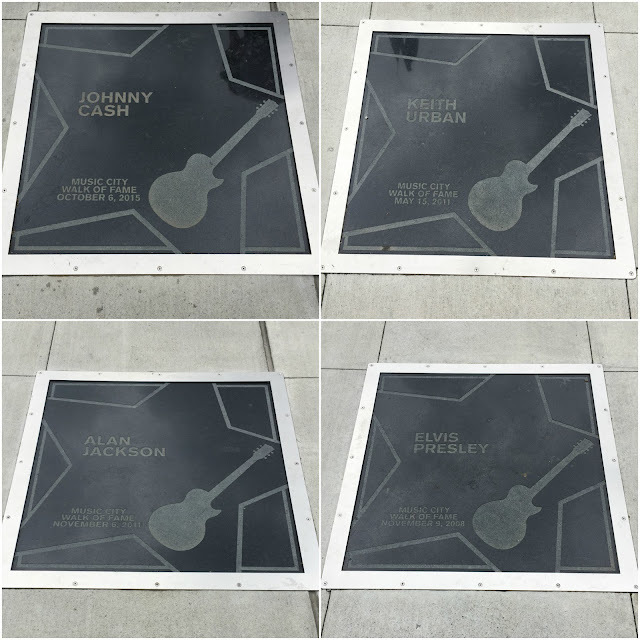 we walked up and down Broadway again, then ventured over to Nashville Music Garden where we saw the Bridgestone Arena, Country Music Hall of Fame, Music City Center, and the Nashville Symphony Center.